Unfortunately, people do not always live up to the promises they make. When a person takes steps to ruin your loving relationship with your spouse, he or she is committing a civil offense called alienation of affection. To learn how you can take action against this hurtful behavior, contact a Raleigh alienation of affection lawyer through the Marshall & Taylor Law Firm, P.C., at 919-833-1040. 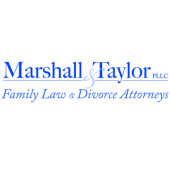 The Marshall & Taylor Law Firm, P.C., only hires experienced and fully qualified Raleigh alienation of affection attorneys. To schedule an initial consultation, contact our offices today at 919-833-1040.